A driver development kit provides a build environment, tools, driver samples, and documentation to support driver development for a particular operating system. Linux had always lacked a proper driver development kit. And anybody who intended to write a device driver had to do with sifting through tons of documentation and example source code that other operating systems provide for their developers. 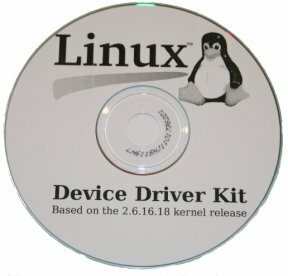 Greg KH has posted at LKML (Linux Kernel Mailing List) that a device driver kit has indeed been released for Linux which contain everything that a Linux driver author would need to create Linux drivers. Additionally, it also contain a copy of the O'Reilly book "Linux Device Drivers". 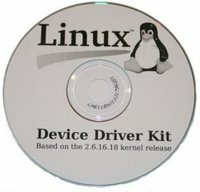 The device driver kit for Linux can be freely downloaded as an ISO image here (92 MB). Finally. This is a pretty big obstacle to some companies that would be writing drivers for linux. Everyone complains that Linux has less hardware support, because all the drivers are written for windows, but this is the sort of stuff we need. We need to make it as easy as possible for developers to write things for linux, and then they will do so much more readily. It provably would have come in handy!